Yesterday in the metro newspaper, there was fine review of the castle, which declared that the old regime of monks had been replaced by their cooler counterparts. Immediately, there were hordes of barely old enough to drink kids scratching their heads at the beer selection and handing me their ID's with their back-up photo ID's from where ever their internship is this summer. One kid had someone else's real ID, which didn't look like him. After throwing down credit cards with the same name and a really really long and detailed description of jaw surgery, I let him take the card back. There - there's a victory for all of you who think I shouldn't take the fakes away. You get one. I had doubts. 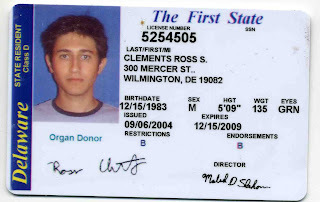 Most of the kids who were underage simply claimed to have "forgotten" their ids. Not this one; not Rossy here. He did whine for it back - and at an inopportune moment - he was standing next to my boss who shot him the most appalled look. He claimed he was from out of town, and wouldn't use it, and would tear it up. Really. pleeese? Also, though I don't think this kid was dumb enough to put his real name on the card, I hope when he grows up, he can become more like the awesome fisherman in new zealand who does have this carefully chosen name. 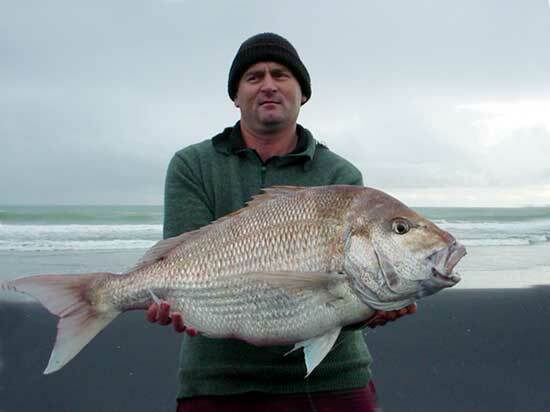 When Ross caught this 10.04 kg snapper, it was reported that the sea conditions were flat with drizzly rain, and that squid was used as bait. Let's hope the humidity breaks here too. Finally a proper use for our true enemy: the squid. Though, no doubt, the squid in question of was of a minor variety - the running dog of the giant squid - it was nonetheless part of an evil conspiracy hellbent on destroying our land-based way of life.